Whether it’s to prevent rot and decay, remove dead branches, or stimulate healthy growth, there’s no doubt that professional trimming can help your trees flourish. But bringing out the clippers during the wrong time can wreak havoc on your home’s hardwoods, leading to unexpected complications that bring it all crashing down. At C.C. Tree Experts, our knowledgeable pros have the tools, talent, and experience to ensure your trees receive the proper care at the right time. When searching for a company specializing in tree trimming, Cherry Hill NJ homeowners trust the pros at C.C. Tree Experts. Your home’s trees are more than just natural sources of shade. New research has revealed that these tall hardwoods can help your property value flourish. But buyers won’t bite if your bark is showing signs of disease and decay. At C.C. Tree Experts, our team has the qualifications, experience, and equipment to remove trees that pose a threat to your property and ensure your plant life is healthy during every season. 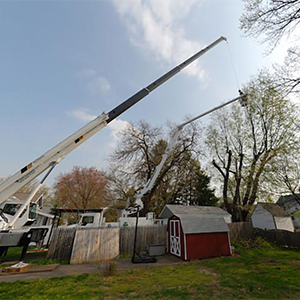 When searching for a reliable tree service, Woodbury NJ homeowners trust the crew at C.C. Tree Experts to deliver spectacular results. New Jersey explodes with color as leaves turn red, orange, and yellow in the fall. But this beautiful season can take its toll on the area’s trees, exposing sturdy hardwoods to harmful diseases, pests, and other threats. At C.C. Tree Experts, our knowledgeable crew can help prepare your trees for the winter. 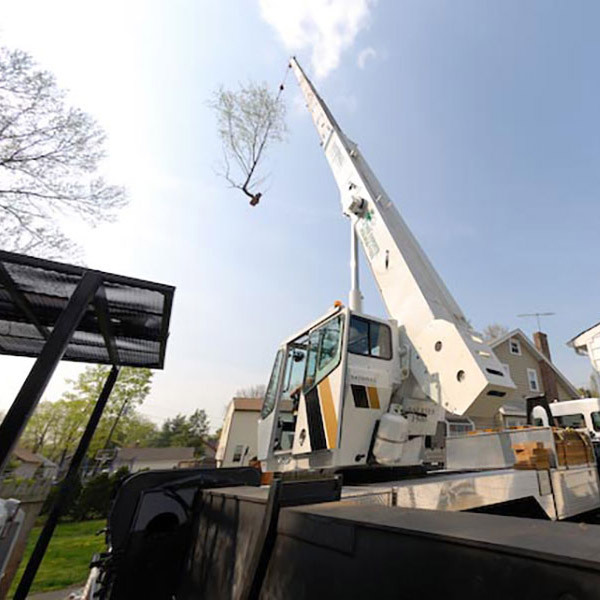 When searching for a professional fall tree service, Voorhees NJ residents know they can trust the pros at C.C. Tree Experts. Dying or dead trees aren’t just an eyesore; decaying timber poses a serious threat to you, your family, and your property. There are countless cases of rotting hardwoods falling over and damaging homes and injuring those inside. At C.C. Tree Experts, our pros can assess the health of the plants on your landscape and remove problem trees safely and efficiently to prevent disaster down the line. When searching for a company specializing in effective tree removal, Cherry Hill NJ residents trust the team at C.C. Tree Experts to get the job done right the first time. Tree care is an essential part of keeping your landscape looking its best, but trimming, pruning, and cutting are time consuming and dangerous without the right equipment and training. At C.C. Tree Experts, our owner Chris Cochran is a Certified Arborist, which means he has the specialized skillset and knowledge to offer specialized tree services that other companies cannot provide. 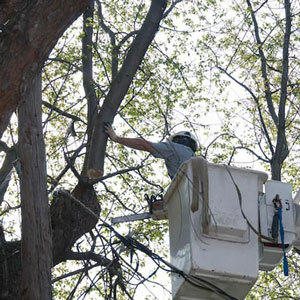 When searching for an expert crew for tree removal, Haddonfield NJ residents turn to the pros at C.C. Tree Experts. Falling trees can crush homes and businesses in an instant, injuring occupants and costing owners thousands of dollars. In many cases, this untold damage could have been prevented by a tree removal specialist. At C.C. Tree Experts, our owner Chris Cochran is a New Jersey Licensed Tree Expert, making us one of only a few companies that can legally consult on, diagnose, and treat tree problems. 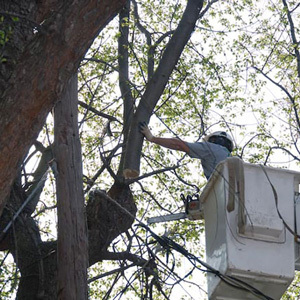 When in need of safe tree removal, Haddon Heights NJ homeowners trust the pros C.C. Tree Experts. That dead or dying tree on your property could collapse at any moment, injuring someone or damaging your home or business and leaving you to pick up the pieces. Before you hedge your bets with a cheap crew of so-called tree removal “experts,” remember that cutting corners could cost you more in the long run. At C.C. Tree Experts, we’ll get the job done right the first time and won’t damage your property. For a quote on tree removal cost, South Jersey residents can contact our office at 856-858-1165. A dying or decaying tree is a backyard risk that many people don’t think about until it all comes crashing down. Act now before it’s too late and call the pros at C.C. Tree Experts. Owner Chris Cochran is a New Jersey Licensed Tree Expert (formerly known as a Certified Tree Expert), which means our company is one of the few in the state that can legally perform consulting, diagnosis, and treatment of tree problems and diseases. 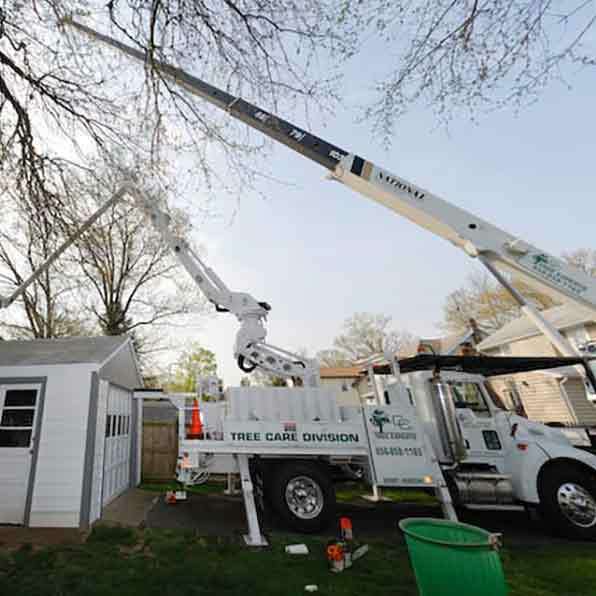 When searching for a reliable tree service, Burlington County NJ homeowners trust C.C. Tree Experts. 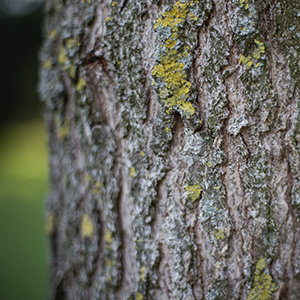 A dead or decaying tree is a threat to your home and your family’s safety. Rather than waiting for the next big storm to cause a catastrophe, call the pros at C.C. Tree Experts. 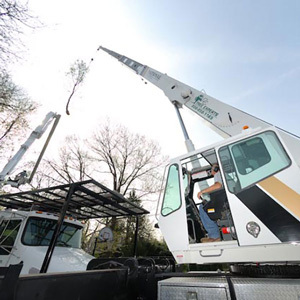 We have more than 40 years of experience in tree removal and tree maintenance, and we are one of the few companies—if not the ONLY company—serving Cherry Hill NJ that owns a crane, so we can remove your tree without damaging your landscape. 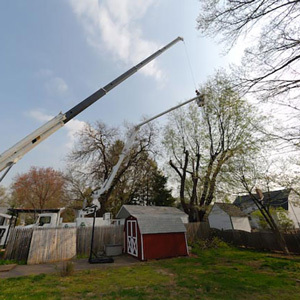 When looking for a trusted crew for tree removal, Cherry Hill NJ residents turn to C.C. Tree Experts. For nearly 40 years, the pros at C.C. 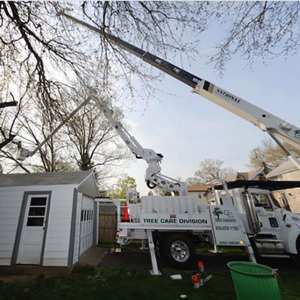 Tree Experts have been the preferred provider of tree removal and tree maintenance services in New Jersey. 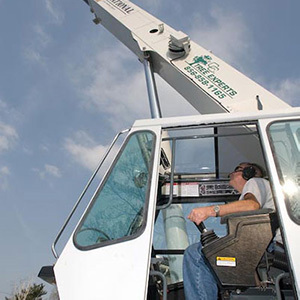 We are Licensed Tree Experts and one of the few tree removal companies—if not the ONLY company—serving Gloucester County that owns a crane, so we can remove your tree without causing damage to your surrounding landscape. When searching for a reliable company for tree removal, Gloucester County NJ residents turn to C.C. Tree Experts for quality service and honest workmanship. If you hire a tree removal company that doesn’t have the right equipment, knowledge or experience, it is very likely that your property will sustain extensive damage. Depending on your homeowner’s insurance policy and the contractor’s insurance (or lack thereof), you could wind up paying out of pocket for repairs. 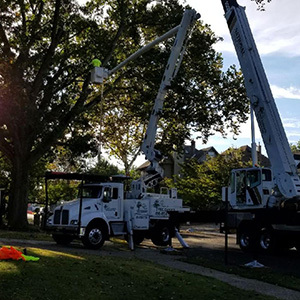 When searching for a tree service, South Jersey residents should only hire a New Jersey Licensed Tree Expert (NJLTE) since these contractors have passed an examination that tests their expertise in tree removal and related services. 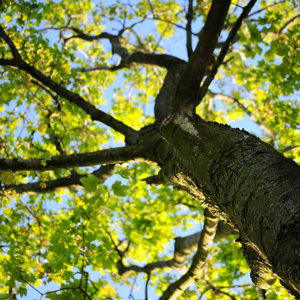 Hiring a tree care expert is not a decision that should be taken lightly. The qualifications of the person you hire could be the difference between getting the job done right or severely damaging your property. An ISA Certified Arborist is a professional who has attained a high level of knowledge in tree care and has passed a comprehensive exam developed by the nation’s leading tree care experts. If you’re looking for a Certified Arborist in South Jersey, turn to C.C. Tree Experts. If you’re in need of tree removal Camden County NJ, price is certainly a factor you should consider when comparing your options. 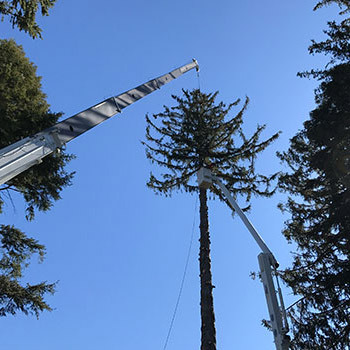 But like any other service, you usually get what you pay for, and a cheap tree removal company that lacks certified personnel and doesn’t have a crane could damage your property and cost you more in the long run.